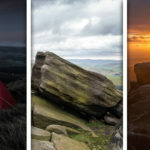 Photographs of The Peak District on Video. 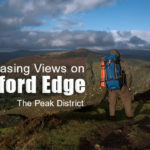 I’ve created a video with my Photographs of The Peak District to kick-start my new YouTube channel. Although I plan on continuing to display my Peak District photos, I will eventually be documenting my walks & wild camping trips via video. The sudden boom in video technology has made documenting events a whole lot easier, and given people like myself the chance to share our adventures. 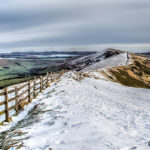 I personally have gained some valuable information from looking at other peoples photographs of The Peak District, and watching other peoples short videos about their own adventures in The Peak District. As I’ve already mentioned, the video below has been created to allow me to kick-start my new YouTube channel. You may as well have a peek at The Peaks while you’re here. Don’t forget to subscribe to my YouTube channel to see my future Peak District Adventures. Enjoy and thanks for watching!! A very simple video made beautiful by some outstanding photographs. Your choice of music to accompany this video is absolutely spot on. Thank you for sharing.